A private commission I did in 1995 for Julie, a friend I’ve known since meeting in Bangkok in several years earlier. It’s one of six illustrations for a collection of charming stories she’d written featuring the real-life mini-adventures of a little girl (based on her daughter) growing up in Thailand’s capital. 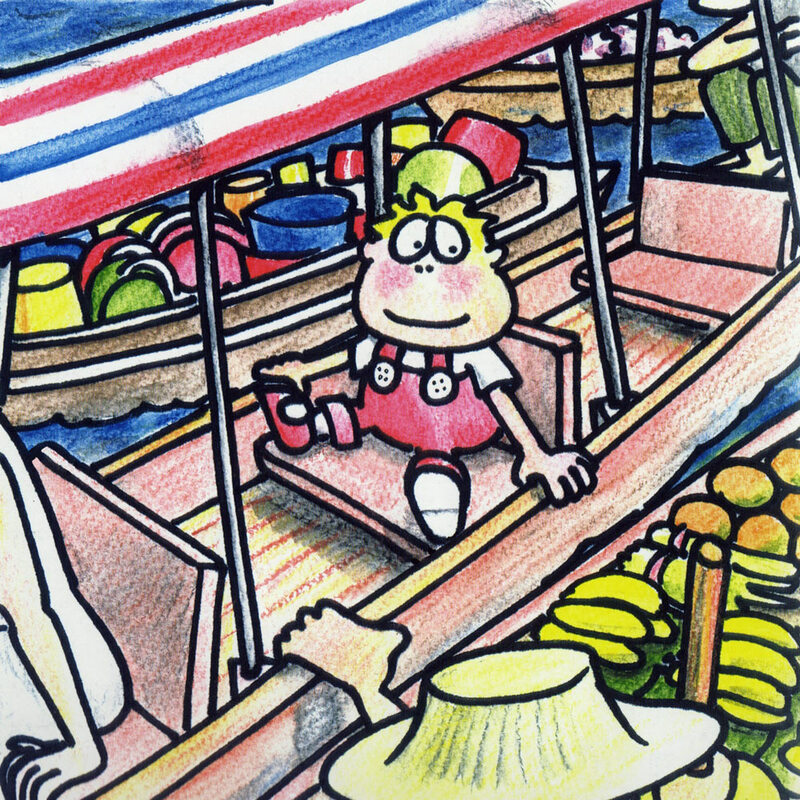 Here the protagonist is visiting Bangkok’s famous floating market. Even allowing for the artistic licence taken at the time, Julie’s daughter no longer looks like this ;-). Marker pen and watercolour pencils on textured paper. See also: the cover for this Bananas in Bangkok project.